The July PPVs in WWE now are all over the place, but once upon a time the WWE had concrete events set in place. 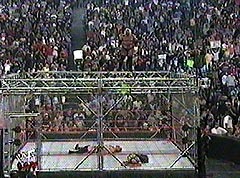 For three years, the WWF presented the Fully Loaded PPV and while the duration of the event wasn't too long, it had some impacting moments and matches. Today, we look at the 5 best matches from Fully Loaded. 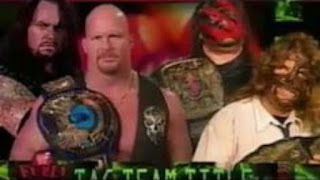 -The match was your usual Attitude Era contest with Austin and Taker going right at Mankind and Kane and their tag team titles. The thought process was that Austin and Taker couldn't work together, but they did and still managed to tease tension between the two for a future match. Austin and Taker won this match and the tag titles, setting up the future Austin vs Taker match at Summerslam. -This match still surprises me. Rikishi was at the top of his game during the Attitude Era and this match was one of the best in his career to me. The two stars battled it out and had some great moments but Val managed to walk away with the title and a victory to my shock at the time. 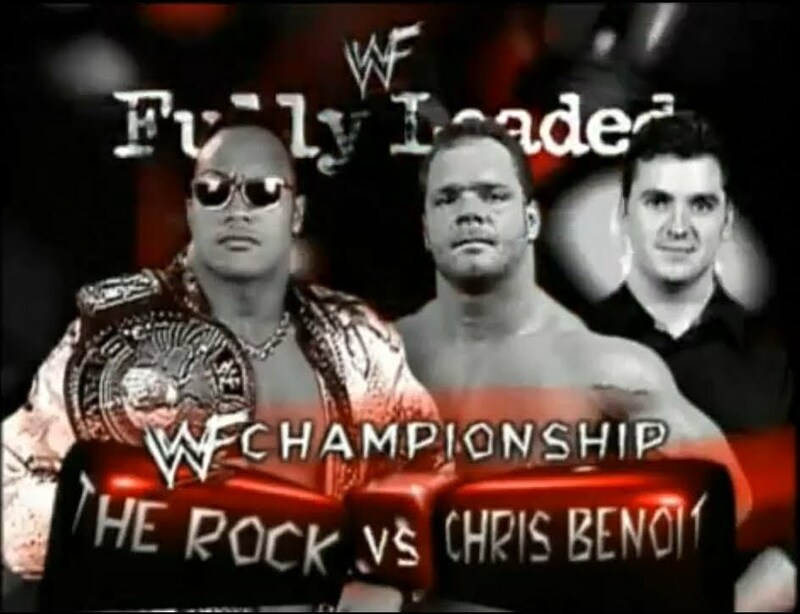 -Rock and Benoit had so much chemistry together that it's not even funny. This match was one of my favorites, with Mick Foley and Shane McMahon both playing roles in the outcome. When it was finished, The Rock walked away with the title but controversial finishes helped Benoit still look strong in a losing effort. -This would be no. 1 if they had a decisive finish. Rock and HHH in 1998 had the best WWF feud and they went toe to toe with each other for 30 minutes with the match tied at one fall apiece until the ref stopped the match as HHH was nearing victory due to the time limit going out. This was an amazing contest and showed that Rock and HHH were the future of the business. -This is the best match between these two men in their career and the best Fully Loaded match ever. Jericho needed that moment to put him into the top tier of WWF and this was the one. HHH was at the top of his game in ring wise and so was Jericho and these two put on an absolute classic. Unfortunately, Jericho came up short and HHH walked away with the victory but Jericho was a made man after this match. There is no match in the short Fully Loaded history better than this. Simple.